lthough Scientology has grown rapidly in Germany since its arrival here in 1970, the scale and ferocity of the attacks directed against it during the last two and half decades are out of proportion to the total number of 30,000 German Scientologists. One might ask why there are any attacks against a religion which offers real hope of spiritual salvation to man, a religion which works hard to help the disadvantaged in the community and which engages in worthwhile social reform activities. Why the officially sponsored discrimination against a belief system which holds that man is an immortal spiritual being; that there is a supreme being and that mans nature is basically good; and that all men of whatever race, color or creed were created with equal rights? To understand the reason for the attacks on Scientology, two points must be borne in mind. First, as Shalom International has pointed out, many of those responsible for the mass murder of the Holocaust were never brought to justice. For example, although it took 4,000 Nazis to run Auschwitz and destroy over a million lives, only 50 were ever brought to trial. Among those who escaped after the war were many psychiatrists who had doomed hundreds of thousands of handicapped patients to gas chambers and ovens. These psychiatrists went on to forge new careers in democratic Germany, often under new identities, and always hidden underneath the respected white cloak of medicine. Secondly, by the end of the 1960s, the Church of Scientology had become an outspoken and active advocate for the preservation of the human rights of mental patients. The Church had created the Citizens Commission on Human Rights (CCHR) (see What is CCHR?) and through it exposed brutal and abusive psychiatric treatment, demanded that electroshock be outlawed because of its destructiveness; exposed instances of fraud connected with the diagnosis of psychiatric illnesses and, consequently, campaigned for the cutting of government funding for psychiatric projects. Word spread fast among psychiatrists around the world about the Church of Scientologys exposés. And so the German psychiatrists, too, planned out and instituted a campaign to prevent the Church from succeeding. As early as 1969, a year before the first Church of Scientology was established in Germany, one of our most prominent psychiatrists, Detlev Ploog, wrote an article for a German magazine in which he smeared the Church even though he had no personal knowledge of its teachings or objectives. Ploog was the director of the Max Planck Institute for Psychiatry in Munich (MPIP), Germanys leading psychiatric research institute. 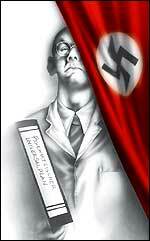 By 1972, three Church organizations existed in Germany, and they began their public campaign to reform psychiatry. In July 1972, the Munich Church issued the first German edition of Freedom, which focused on the Max Planck Institute for Psychiatry. Despite the institutes polished image, abuses were found to be commonplace and scandalous. These included negligent over-administration of psychiatric drugs and wanton use of electroshock, psychosurgery and other inhumane practices. Prior to the war, the Max Planck Institute had been known as the Kaiser Wilhelm Institute and had been the primary think-tank behind the Nazi ideology. It supplied Hitler with the scientific justification for the Holocaust. And it was far more than a think-tank. At the Nuremberg war crimes trials, psychiatrist J. Hallervorden confessed that at the Kaiser Wilhelm Institute, he had used the brains of more than 500 victims of the Nazi euthanasia program for research. These victims had been selected out from various institutions in a simple and fast way: Whoever looked sick or was a problem patient was taken to the euthanasia centers. The brains of the Hallervorden Collection, tainted by the blood of euthanasia, were stored in the basement of the Max Planck Institute for Brain Research in Frankfurt until 1990a bizarre scenario the Institute admitted only reluctantly. The material, as Hallervorden had called it, was finally buried in a Munich cemetery. When the war ended, Rudin got off lightly. He lost his job and was stripped of his Swiss citizenship. But he was never tried because direct, hands-on involvement in the Nazi murders could not be proven. Rudins ambitions in the field of biological research were continued at the Max Planck Institute for Psychiatry by his daughter who worked on a project involving the behavior of twins. Phenomena connected to twins had fascinated the Nazis, among them the infamous SS doctor Mengele who conducted many deadly experiments using orphaned twins. The Churchs exposé of the appalling conditions at the Max Planck Institute would alone have earned it the enmity of Ploog, who was already ill-disposed toward the Scientology religion. But, without fully knowing it, the Church through its revelations in Freedom threatened what German psychiatry valued most: government appropriations. In January 1971, an organization had been founded in Bonn to bring about the reform of psychiatry. Called Action Mentally Ill, it was not, however, an association of patients as the name may suggest, but was a psychiatric front group funded by 150,000 DM of federal government money. Its leadership included various well-known psychiatrists. CCHR research uncovered that the objective of Action Mentally Ill was to push in Parliament and on other channels for an official government study to be conducted into the needs and requirements of psychiatry in Germany. As a result, an expert commission was appointed to carry out this project. It consisted of then State Secretary at the Federal Ministry of Family, Youth and Health, psychiatrist Ludwig Manger-Koenig, and was dominated by other psychiatrists who were members of Action Mentally Ill.
Manger-Koenig had been a pupil of Nazi psychiatrist Werner Villinger* who had been an expert adviser to the extermination committee (code name: T4) which ordered thousands of mentally ill to their deaths in gas chambers, even prior to the war. After the war, Villinger, like Rudin, escaped scrutiny and became a professor of psychiatry at the University of Marburg. In 1952, he was appointed president of the German Association for Child and Youth Psychiatry, a post he held until 1961. And he became a leading member of the World Federation of Mental Health. Together, Villinger and Manger-Koenig lobbied for and were instrumental in the creation of the German Federal Ministry of Youth, Family and Health. Manger-Koenig became the highest non-appointed official of this ministry, which during the next two decades, played a leading role in directing the attacks against Scientology. Manger-Koenigs commission carried out its mandate and presented a model plan for German psychiatry. It asserted that every third person in Germany could be expected to require psychiatric treatment and, therefore, the systematic multiplication of psychiatric methods was called foralong with very dramatic increases in government funding, of course. The execution of this model plan was turned over to the Action Mentally Ill which was to receive the support of the Federal Ministry of Youth, Family and Health. Although Freedoms editors had expected some reaction and hostility from psychiatric quarters with their exposé of this gigantic exercise in self-enrichment, they could not have foreseen the magnitude of the backlash against the Church of Scientology that these men engineered.